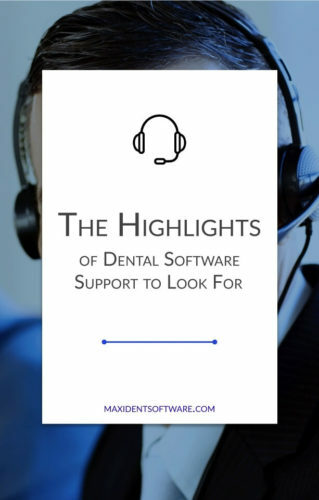 The previous article focussed on all the questions you should ask your software provider(s) prior to purchasing any dental software, but one of the most important aspects of all software is the service support. If you have any kind of software or service (which the majority of you definitely do), you know what I’m talking about here. Let’s be real. There is no possible way that even the best most expensive software is infallible. Every piece of software comes with its bugs, its glitches, its momentary lapses. You have seen it I’m sure with your internet service provider or your cell phone service provider. Apple is one of the biggest technology monsters in the game and yet it’s untrue to say that they have had a spotless record. As an example and something funny to lighten the mood, John Oliver, host of “Last Week Tonight” is responsible for putting together a video that in fact shows the vulnerabilities of the Apple iPhone. Please enjoy! So now that we’ve established the non-utopian reality of technology, let’s look at service support and what the right service support should be offering you. Let’s take a closer look at some of these, shall we? Many times I have dealt with an automated system I was unable to navigate because it had a confusing setup. If at some point you were in the same boat, you know that it can cause unnecessary frustration and stress. Who wants to fight with a robot? I certainly don’t and I’m sure neither do you. Same goes for waiting. Having to wait an excruciatingly long time for answers is unacceptable. You should know that your support is going to be there for you and provide you service as soon as possible, especially if the situation is dire. You never want to call for support only to find that the information the technician gave you was wrong, and yet sometimes, this can be the case, or worse, you get the runaround or are told that they can’t help you with this particular software issue and instead you have to call this number, see them at this address, or visit this website. This kind of support is not only unhelpful but can actually hinder the success of your dental practice. With how expensive a support package can be, you should only receive the best of the best. Don’t you agree? Of course, you do. So what kind of support package do you deserve? Here are just a few highlights you should look for in your search for the right dental or practice management software. And remember, you need support. It isn’t a want that you can just overlook when the time comes to buy, it is a necessity. Too many times I have been on the receiving end of a customer asking for support that had not originally paid for it. The CSR can’t do anything except refer them to someone else who will then ask them to invest in a support package. Support isn’t just there to help you with technical issues, either. That is a huge misconception that needs to be debunked right now. Your support helps with technical issues, updates to your software, installation of fee guides, crashes, and more. If you have a question, big or small, that is where support plays a huge role and furthermore helps your practice to run a lot more smoothly. This really should go without saying as this is the crux of excellent customer service; the problem is, it has to be said out loud, all the time. Let’s be honest, it really does feel like customer support is taking a backseat to pushy sales tactics and automated responses and menus. Your support team should be accommodating, should be patient with you when solving a problem or helping you with a how-to, and should be friendly to the very end. Simply said, your chosen support team should practice empathy in order to value you as a client and as a human being. Since you can’t take a support team out for a spin the way you can demo the software to see if their service is right for you, looking for the right support team requires research. And one of the most important aspects to look into when researching is speed. How fast does the support team get to their customers? How long is the wait time? The wait time should be as short as possible, and in emergency situations, it should be even shorter. Currently, we have put a system in place that allows for our clients to be acknowledged as soon as possible. In an emergency, we understand that a long wait time is unacceptable, which is why it is so important for our technicians to respond immediately (not an hour later, not a half hour later, not ten minutes later), but immediately. This is the response you need and deserve from your support team. Speed is paramount when it comes to having an amazing support team, but speed is not everything. If your support team is fast to respond but either does not resolve the issue or worse resolves the issue only for the issue to come back days or even hours later, you are not receiving the proper support. As was outlined above, all technology has its bugs and everyone has their questions and how-to’s, so it’s important that you are able to rely on an experienced support team to resolve issues properly and effectively. Experience is an important aspect to look for as it gives you an indication of just how effective the support team will be. How many ways are available to you and your team to contact support? If it is just a 1-800 number and that’s it, something is wrong. Look for a dental software that puts your needs first by giving you more than just one number and therefore only one way to contact your support team. For example, our clients can contact their support team via support number, direct line to their tech, email, and even automated support ticket available right on their desktop. This is a critically important highlight to consider moving forward. Improvement is essential for your team to provide you with the service you want. But a software provider can’t improve their service if they don’t listen to their customer or if they don’t give their customer an opportunity to offer feedback. You should expect to see a survey or receive a phone call asking for your feedback. A software team that is willing to listen is one that is willing to improve in order to serve you and your dental practice better. This is less for the tech support and more for the company selling the software. What are they doing to make support better and easier? For example, our focus is customer service, therefore, we wanted to change the way we approached our customers by looking at what was wrong with the system. We found that the “call-centre” model just didn’t work. Customers weren’t happy waiting in a line with no one to talk to. Also, we took into account that sometimes our customers needed to discuss other things about their practice outside of technical issues. So we came up with a system that allows our customers to have not just their own tech to discuss and resolve issues but also their own account manager to discuss — well — everything else. Sure, you want good technical support, but let’s face it, you want more than that. You want a software company that will go above and beyond, providing you with a safe secure space to discuss the challenges and successes of your practice so far. So make sure that when you’re looking at dental software for your practice that you ask questions about their support as well as their software. Ask them what they’re doing to improve how they do customer service and, more importantly, check out the reviews of their support service. A simple way to do this is by going to review sites like capterra (https://www.capterra.com/p/67650/Maxident/) Here, you will find out just what other clients think of not only the support but the product as well. Online reviews reveal whether the support package includes technicians you can rely on and who will take your issue seriously. Keep in mind, support should treat you like a human being, not just a number in the queue.